Goggles! 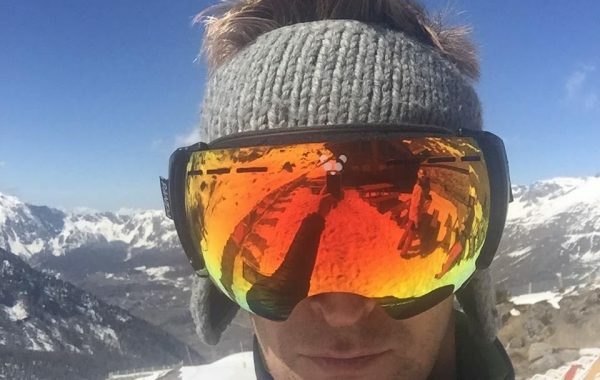 Having comfortable goggles with the correct lenses can make the difference between a good day on the mountain and an awesome day on the mountain. I have experienced all sorts of eye wear on the mountain, even swimming goggles (Do not try it!) and I can tell you now, do not take any shortcuts; for when that weather comes in or the sun is beating down, you will be thankful for your investment. I had been sent a pair of Panda Optics to try out on my next trip to Champoluc in the Aosta Valley and the conditions were to be very varied luckily for this review. 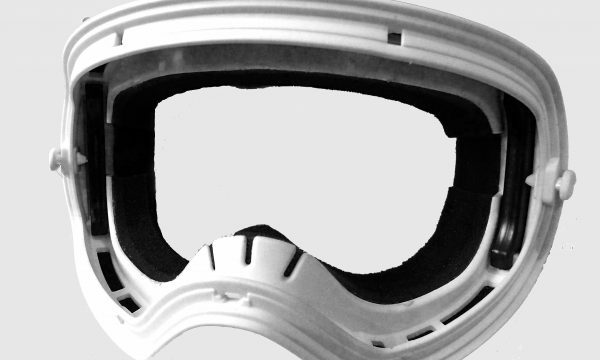 I was going to be trying the Funnel model which is totally frameless in design thus allowing for the widest angle of vision and it lets the snow blow away from goggles rather than build up around the edges of the frame. The Funnel’s “Wide-Rig” strap attachments on either side created a snug fit round my helmet, with the double buckle strap made for easy adjustments whilst on the move. 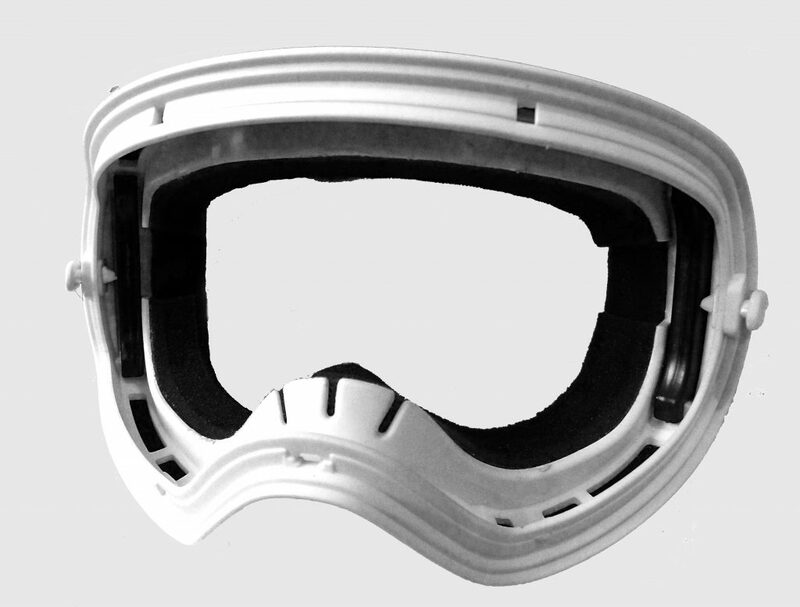 The “Black” version of the Funnel goggles came with two interchangeable lenses. One Pearlescent Red polarised and one Maize yellow low light HD lens both with Integrated Guma® anti fog technology, which did seem to work pretty well by absorbing any moisture and evenly distributing it across the lens surface rather than letting droplets collect. After a little practice I became a dab hand at changing the lenses over, the trick is to avoid bending the lens by pulling the frame away from the lens. The Low light HD lens worked like a dream and appeared to enhance and make the terrain ‘pop-out’ and made the snow glow as if the sun was still out, which confused me on a few occasions until I got used to it. Though I have to say that the Pearlescent red polarised lens worked really well in low light and remarkably well when the sun was blasting down too, so I did not have to change the lenses every time there was a little cloud coverage. 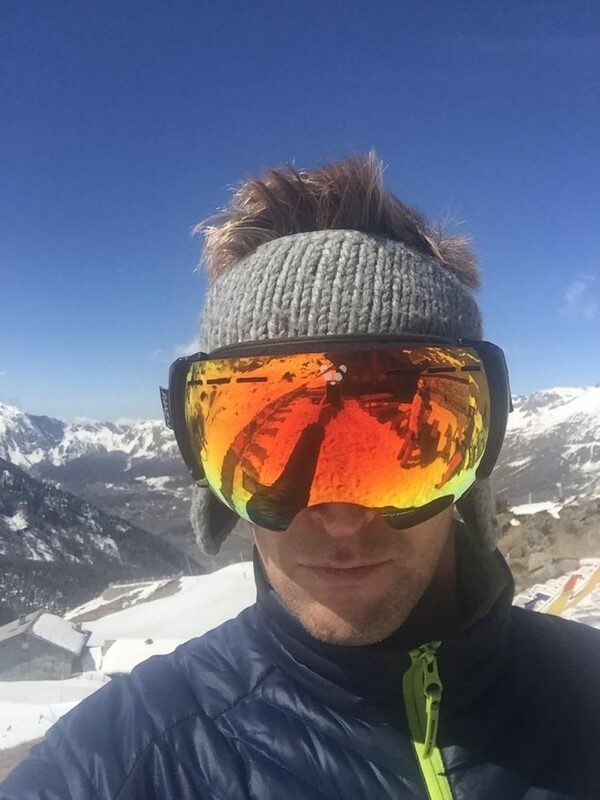 In the sun these lenses protect against UV400 (UVA & UVB rays) as well as snow glare. The varied density triple layer foam topped with brushed fleece was super comfortable and did not crush or contort my face or nose which is pretty important for breathing! Many other googles squash the nasal bridge and impede oxygen intake which at altitude can be difficult enough as it is. 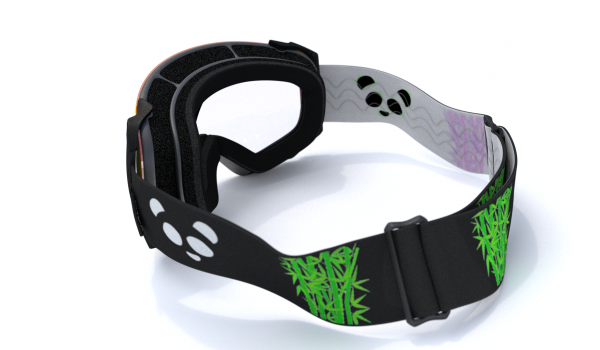 The TPU (Thermoplastic polyurethane) frame is designed to be flexible yet strong and can resist fluctuations in temperature and impacts whilst moulding to your face. Overall, I was very happy with how these goggles performed. They were super comfortable, did not fog up, let me breath the fresh mountain air and the lenses really worked well in all the conditions that the Aosta valley could throw at me, plus I looked like some kind of jet fighter come Astronaut… so that was all boxes ticked as far as I was concerned. 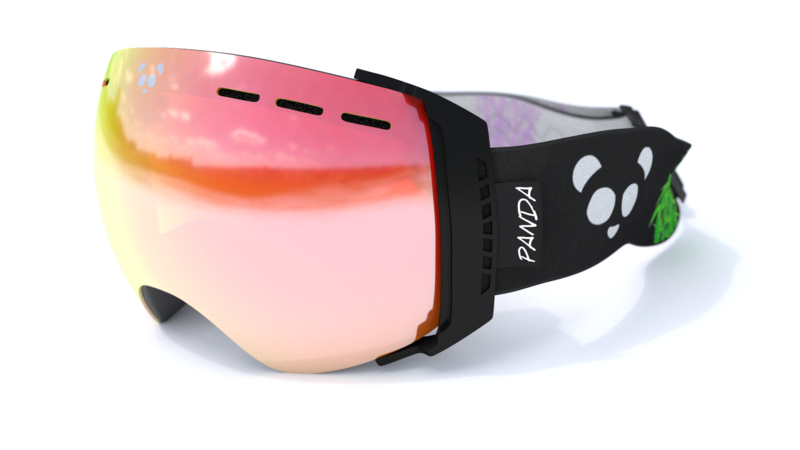 Panda Optics are avalaible to purchase online.